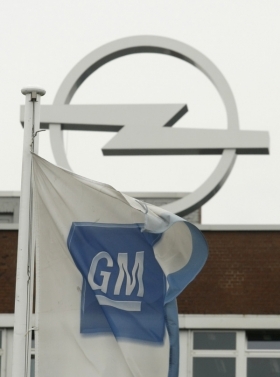 SOUTHFIELD, Michigan -- General Motors Co., facing mounting losses in Europe, will have to spend at least $1 billion to revive its operations in the region, according to estimates from three analysts. "The cost is likely to be steep and the savings not immediate," Joseph Spak, an analyst at RBC Capital Markets in New York, wrote as lead author in a note to investors on Friday. RBC estimates European restructuring expenses of $600 million this year and $400 million in 2013. GM reported on Thursday that its European business, including Opel/Vauxhall, had a $747 million loss before interest and taxes last year after losing $1.95 billion in 2010. The Detroit- based automaker's losses in the region have totaled $15.6 billion since 1999, and the average of four analysts' estimates for this year is a $1.2 billion deficit. The company's European restructuring costs could total $1.2 billion if 4,000 jobs are cut, Brian Johnson, a Barclays Capital analyst, said. "Given the potential to make up lost market share and improve capacity, we believe that a restructuring of the unit would provide a tailwind for the stock," Johnson wrote in a note to investors. Joseph Amaturo, an analyst at Buckingham Research Group in New York, was lead author of a note that estimated GM's cost to revamp in the region at $1 billion. GM scrapped a forecast in November that called for breaking even in Europe last year, as the outlook in the region worsened. The company's European production fell 20 percent during the fourth quarter and revenue fell 9.2 percent. "We have to match capacity with demand, and demand has been falling," CEO Dan Akerson said of Europe during a conference call with analysts on Thursday. "We are looking at everything in order to achieve a better break- even point, a lower break-even point, and scale. There's more to come on this, I think, in the next couple of months," he said. Even with the European losses, GM reported net income of $9.19 billion for 2011, the largest annual profit in its 103- year history.